Director of Public Prosecutions Service of Canada predominately prosecuting drug offences in the Salmon Arm and Revelstoke areas. 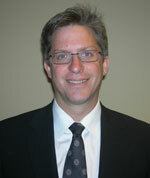 Glenn has developed expertise with the Canadian Charter of Rights and Freedoms. He has dealt extensively with an individual’s rights to counsel and right to be secure from unlawful search and seizure. comprehensive legal services to personal injury clients in the Salmon Arm and surrounding areas. He is able to access all the resources of the large firm while maintaining a very personal relationship with his clients. Glenn enjoys a very balanced lifestyle in the Shuswap area; he continues to be an avid soccer player, cyclist, runner and downhill skier.